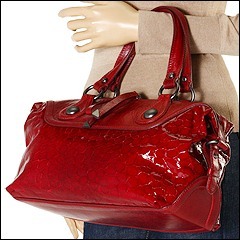 No matter the time of day, this Francesco Biasia handbag will give your look touches of glam. 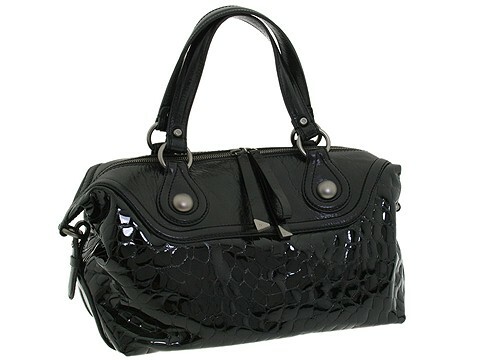 Satchel style shoulder bag made of shiny patent leather. Holds your wallet, keys, sunglasses, lipstick and personal technology. Dimensions: 14 wide across bottom, 14 1/2 wide across center, 15 wide across top x 6 deep x 9 1/2 high. Dual handles. Handle drop: 6 1/2 length. Top zip closure. Interior lining with a back wall zip pocket and multifunctional slip pockets.